When will be Locke and Key next episode air date? Is Locke and Key renewed or cancelled? Where to countdown Locke and Key air dates? Is Locke and Key worth watching? 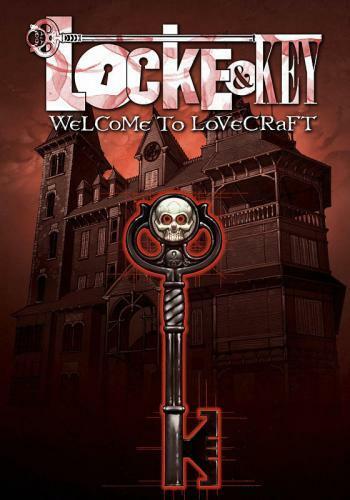 Locke and Key is a horror/fantasy series that revolves around three siblings who, after the gruesome murder of their father, move to their ancestral home in Maine only to find the house has magical keys that give them a vast array of powers and abilities. Little do they know, a devious demon also wants the keys, and will stop at nothing to attain them. Locke and Key next episode air date provides TVMaze for you. EpisoDate.com is your TV show guide to Countdown Locke and Key Episode Air Dates and to stay in touch with Locke and Key next episode Air Date and your others favorite TV Shows. Add the shows you like to a "Watchlist" and let the site take it from there.